Brooklyn based Beach Fossils is Dustin Payseur’s baby. Formerly signed to Captured Tracks, his dreamy musical landscapes fit in perfectly with former label mates Wild Nothing and Diiv (of which front man Zachary Cole Smith used to be in Beach Fossils). Now on his own Bayonet Records, Payseur’s first album in four years, Somersault, showcases the growth he has made as a songwriter. The problem that has developed from this growth is the difficulty in trying to be too many things at the same time. Opener “This Time” is wheelhouse Beach Fossils, showcasing Payseur’s ethereal vocals, a gentle pop jangle and lovely string arrangements, a new wrinkle which pays immediate results. 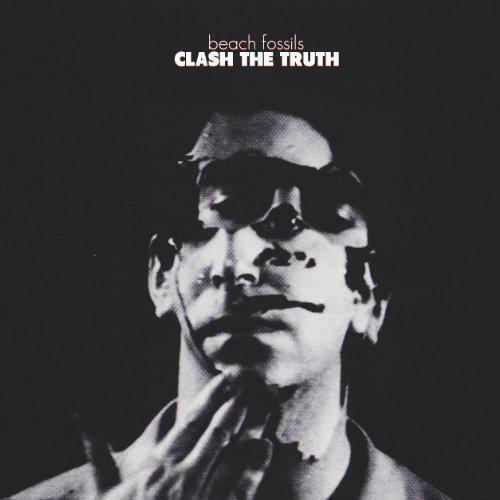 Different from the surf vibe of Beach Fossils self-titled debut in 2010 or the more expansive follow up Clash The Truth in 2013, the addition of strings offers proof of Payseur’s willingness to expand his sound. Follow up “Tangerine” features Slowdive’s Rachel Goswell, whose voice compliments Payseur’s perfectly. As shoegaze has creeped it’s way into modern indie rock, it was only a matter of time a member of one of the more underrated shoegaze founders made their way into the progeny of the sound they created. “Saint Ivy” feels like an experiment, with jazz flute bridging the song to the George Harrison riff at the end. It a song that grows on you after a number of listens, but one that definitely needs some distillation to figure out what it is. After a strong start, Somersault settles into more predictable territory, slowing down. It becomes more “Smooth Gaze” instead of shoegaze, with jazz inflections and an interesting collaboration with indie rapper Cities Aviv on the song “Rise”. At a mere 1:42, the song acts like a bridge between side A and side B of a long-player. “May 1st” is gorgeous, with overdubbed harmonies and tight production, rivaling fellow New Yorkers Real Estate. It’s the strongest song on the album. “Sugar”, “Closer Everywhere” and “Social Jetlag” are all chilled grooves, similar enough to make them blend together and thus forgettable in the end. Somersault’s final three songs accelerate back up to typical Beach Fossil speed. “Down The Line” lyrically feels a bit like XTC’s “Mayor of Simpleton”, with Payseur crooning “I don’t want your Wall Street, don’t got no degree”. “Be Nothing” starts with a simple baseline, strummed acoustic guitar and subdued drums, exploding after two and a half minutes into a wall of driving bass and pedal effects. “That’s All For Now” closes the album with a steel guitar fade out which stands out as much for the way it blends with the other sounds as the fact it’s the first time the effect is used on the album. I want Payseur to write an alternative country album with LOTS of steel guitar, it sounds that good. Four years between releases is a long time, fraught with the risk of the release being lost in the current sound. For Beach Fossils, it shows front man Payseur’s growth as a songwriter, and despite the inconsistencies, provides excitement for the next installment in the discography. Don’t wait another four years Dustin.